It is important to floss your teeth regularly every day besides brushing it as well. The process of flossing will eliminate debris and plaque in places that a toothbrush is unable to access. Flossing is quite essential since the accumulation of plaque can cause gum disease and even tooth decay. Flossing directly after brushing your teeth will subsequently result in healthier gums and teeth. Basically there are two types of dental floss available in the market today. These types are single filament and nylon. For nylon dental floss, consumers are able to get them either waxed or un-waxed in various different flavors. Nylon dental floss consists of a few stands of nylon material. This makes the nylon floss vulnerable to shredding and tearing if it gets caught in a sharp area of the tooth. On the other hand, the single filament dental floss is a bit more costly compared to the nylon dental floss but is more durable. The single filament dental floss with no trouble can glide between teeth through tight spaces and areas. The single filament dental floss is quite difficult to tear or shred compared to the nylon dental floss. Whatever type of dental floss you select, as long as you routinely floss, it can remove tartar and debris from your gums and teeth. If you have not previously flossed your teeth, you may be quite surprised as to how much food particles and debris it can get rid of. Since flossing can reach the difficult areas where normal toothbrushes are unable to, it is quite recommended by dentists. After meals, food and debris will get stuck between your teeth thus making flossing quite important. Many people find dental flossing quite troublesome since it may cause bleeding of the gums. When you floss between your teeth above your gums, logically the dental floss will stroke against your gums thus causing it to bleed. Several people are troubled by this and immediately quit flossing which sometimes they do permanently. Bleeding can be seen quite often during dental flossing thus should be expected. Some people assume that brushing your teeth is enough. But you just by brushing your teeth, debris and food particles continuously grow in your mouth. There isn?t a toothbrush available today produced to reach every area of the mouth and no matter how small the head may be, it still has its limitations. Building up in the areas where the toothbrush cannot reach are debris and plaque which can subsequently cause cavities and tooth decay. In order to eliminate the buildup of plaque and debris before it turns into serious condition, it is imperative to floss regularly. If you have tried flossing and find it frightening since it may cause bleeding, it is more important to get over the fear and regularly floss after you brush your teeth. Since brushing your teeth alone cannot entirely clean your teeth, it is essential to combine brushing and flossing. To maintain healthy gums and teeth, routine visits to the dentists is also recommended but it is more important to regularly maintain them yourself with brushing and flossing. If you routinely floss your teeth after brushing them, you will realize quickly how clean your gums and teeth can be. Most of us have learned the routine of brushing and flossing at a very young age. It usually takes under two minutes to properly brush your teeth but many people tend to brush their teeth longer and at times much less. A majority of adults have a tendency to spend under a minute to brush their teeth which realistically isn?t adequate time to have your teeth cleaned. In order to properly allow yourself the most adequate time to brush your teeth, it is advisable to check a watch while you brush. It is recommended to avoid pressing too much on your teeth and gums but apply small gentle strokes. When brushing your teeth try to concentrate on areas hard to reach and be certain to brush the areas between your teeth. It is vital to also brush all the surface areas where you eat including the lower and upper gums. Be sure to be concise and focus on every section of your mouth and subsequently you will completely brush your teeth. Other than applying the proper and adequate brushing techniques, it is imperative to use the proper toothpaste also. Nowadays, there are various toothpastes developed for a variety of different complaints and conditions. Toothpastes available in the market today can inhibit teeth sensitivity, prevent toothaches and avert conditions like gingivitis or tartar buildup. It is essential to consult with your dentist on the type of toothpaste is suitable for you since toothpaste is the most appropriate method for teeth protection. To have excellent brushing results, you will require a proper toothbrush. 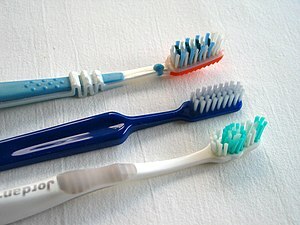 It can be quite difficult to select a toothbrush since there are various different models available today. Before you select a toothbrush, consider a brush with soft bristles. This is important because tooth brushes with soft bristles are quite gentle on your gums and will eliminate debris and plaque thoroughly from your teeth. It is also recommended to select a toothbrush with a small head since it can effortlessly reach difficult areas in your mouth like that back of your teeth. It is important to change your toothbrush when it begins to show signs of wear or every several months. Several dentists recommend replacing your toothbrush every time you have a cold since the bristles may contain germs and bacteria that can cause you to be ill again. Worn toothbrushes must be replaced immediately since it can affect your gums. When the bristles on your toothbrush wear down, there is a good chance it can lacerate your gums and cause sensitivity. To optimize your tooth brushing experience it is important to consult a dentist and even use some basic common sense. To avoid tartar and plaque buildup, it is essential to brush your teeth routinely every day. Understand that brushing alone will not optimally maintain the health of your teeth thus it is vital to do regular checkups to your dentist. Taking excellent care of your teeth and brushing them routinely every day, you can definitely prevent cavities and infections. Nowadays, we are quite familiar with the dental procedure known as a root canal. For a majority of the public, root canals are dreaded but when someone else has experienced this procedure we usually find it quite amusing. On the other hand, for a patient requesting to do a root canal we usually find it quite absurd including dentists. Most people are unaware but, historically, root canals have existed for a very long period of time. Centuries ago, early civilizations performed a similar procedure to salvage teeth from decay and necrosis. Often, earlier forms of root canals were performed to royalty and rich since the procedure is quite costly. In these times it is quite normal for peasants to extract their teeth and sell them to aristocrats. In the past, people including doctors believed the cause of tooth decay were worm infestation in the teeth. They believed that the only way to manage this problem was to kill the worms with several peculiar methods. One odd method was to rinse the mouth with urine twice a day, in the morning and at night. This remedy is quite absurd and redundant thus it was no longer practiced since 1728 and was replaced with a more adequate form of treatment. With the development of modern medicine, professional dental assistance proved to be the most accurate method to stop toothache pain by cleaning and extracting the affected nerve and pulp from the tooth. Nowadays it is quite usually to undergo a root canal; this procedure basically manages to salvage the affected tooth by cleaning the dying or dead pulp. The pulp is located within the tooth and can turn into abscess if improperly managed. The tissue within the pulp is maintained by several blood vessels originating from the outer tip of the root and passing through the root canal entering the tooth. The chief cause of tooth death is decay. As soon as decay reaches the pulp, it can cause deterioration to the extent of pulp death. The moment the pulp dies the surrounding dead pulp and tissue releases toxins into the root tip. Even though it does not happen too often but these toxins can spread into the jawbone. If inadequately managed, there is a possibility for the jawbone to be infected which subsequently can cause death. In order to manage this problem, dentists will usually recommend undergoing a root canal. This is quite a routine procedure which usually begins with the dentist numbing the affected area and drilling a hole into the tooth. The dentist will use several equipment and tools to enter the affected to in order to scrape and clean the nerves and dead pulp. Even though this procedure is quite time consuming it is a very effective approach. It can be usual for a root canal to be performed in several hours but this is the most effective method to salvage the dying tooth and eliminate the dead pulp. Although this procedure takes several hours to do, it is quite worth it considering the alternative where you may have to extract your entire tooth. A majority of people are unaware that various herbs can help to relieve troublesome toothache pain. Herbs that can be found plentifully in nature such as tarragon, cloves, calendula and yarrow may be applied to manage the pain prior seeking professional dental assistance. Historically, different cultures used various types of herbs to manage toothache pain and feel momentary relief. As an example, Native Americans, took the inside bark of the butternut tree and applied it to their affected gums to manage toothache pains. Naturally, the butternut tree grows in North America where it can be found plentifully. It is also the distant cousin to the black walnut tree which grows in North American as well. Butternut trees can be found abundantly along river beds around fine drained soil, thick woods and also around back yards. A mature butternut tree can be as high as sixty feet, having a light grey colored bark, along with fruits and leaves similar to a black walnut tree. For centuries the inner bark of the butternut tree may be used to decrease toothache pain. Another natural herb is yarrow which may be located in Europe, North America and Asia. Yarrow usually grows naturally in fields, open wood lands and meadows. Specifically the root of the yarrow has a natural anesthetic effect. By applying fresh yarrow root to the affected gums or tooth, it can temporary alleviate the toothache pain but it is important to consult a dentist afterwards for medical management. Growing naturally and natively in tropical areas, makes the herb clove an evergreen plant. In these times though, cloves can be seen all over the world. The part of the clove which contains the active medical agent is the dried flower bud. Oil extracted from clove can help immediately alleviate the pain of toothaches. Many feel that, compared to several different natural toothache remedies, they feel that cloves work the most optimal. Throughout centuries and with various cultures, natural herbs where applied as remedies to alleviate toothache pain. This is understandable since hundreds of years ago people relied on natural remedies to manage various complaints and diseases including toothache pain. During the era when dentists started to practice, their equipment and tools were not as sophisticated as today. Dentists already performed tooth extractions at these times but this procedure is usually done with alcohol consumption. Alcohol was used so the patient will not feel any pain during tooth extraction which was normally done with pliers. It has been proven throughout history that natural herbs have been quite useful for easing toothache pain. You can consult your dentist if you are quite interested in using natural herbs or would like more information about them. Several dentists are quite familiar with natural herbs and they may be able to advise you on a few natural remedies if you would like to try them. In the future if you are experiencing a toothache, keep in mind that natural herbs are a good remedy to alleviate the pain.